Ten-year-old Dennis Hutchinson wants nothing more than to have a best friend. 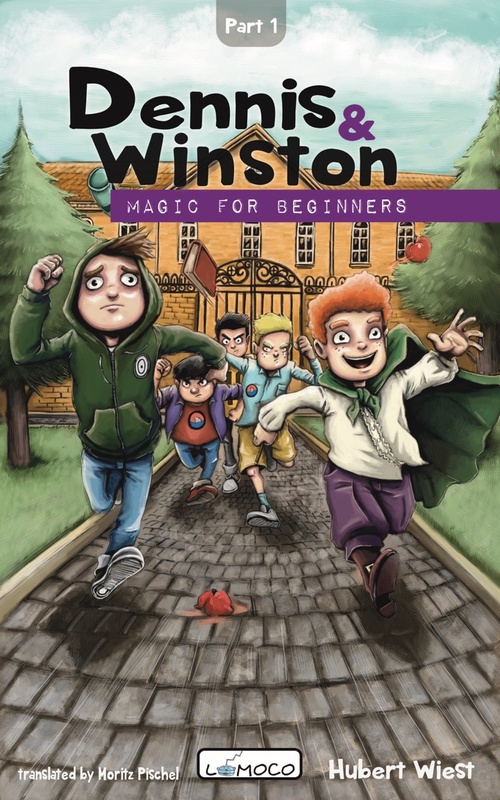 But certainly not the embarrassing new guy: Winston Shufflebottom wears ridiculous clothing and claims he is a wizard. Dennis mustn't be seen with him, especially not by Rufus and the Shark Gang. Exciting, funny, cool! 15 stories about friendship, tolerance and bravery to read yourself, to be read to you and to enjoy. It is the time of the Golden Crystal Era, where all members must contribute their thoughts and accomplishments to society’s collective consciousness, Computerized Human Accomplishment. Sansibar is awaiting her fifteenth birthday, to be fitted with her very own crystal and become a member of society. If only she could shake this worry about sharing her most private thoughts and secrets. On the outskirts of society, a secret barricade, the Dark Wall, surrounds the city of Mallinport. In the shadow of the dark wall sits The Shadowcity, where crooks, dropouts and fugitives make their home. After a petty theft that he always meant to repay, fourteen year old Luan is banished to the forbidden city of shadows, where he takes a secret job programming attractions for Mallinport’s infamous theme park. As these two struggle with their place in society, their paths intertwine. Can Sansibar help Luan back into society, or will Luan pull her out of it? Hubert Wiest is an author of ten German children's books and YA novels. 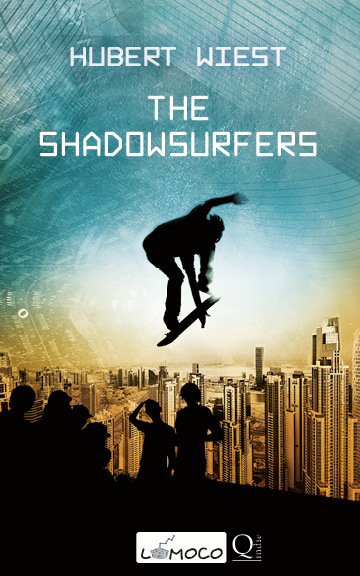 THE SHADOWSURFERS is his first US release. In addition to giving classroom readings, Hubert also produces audiobooks and the podcast Radio Lomoco together with Nina von Stebut. Hubert was born in Germany in 1964. 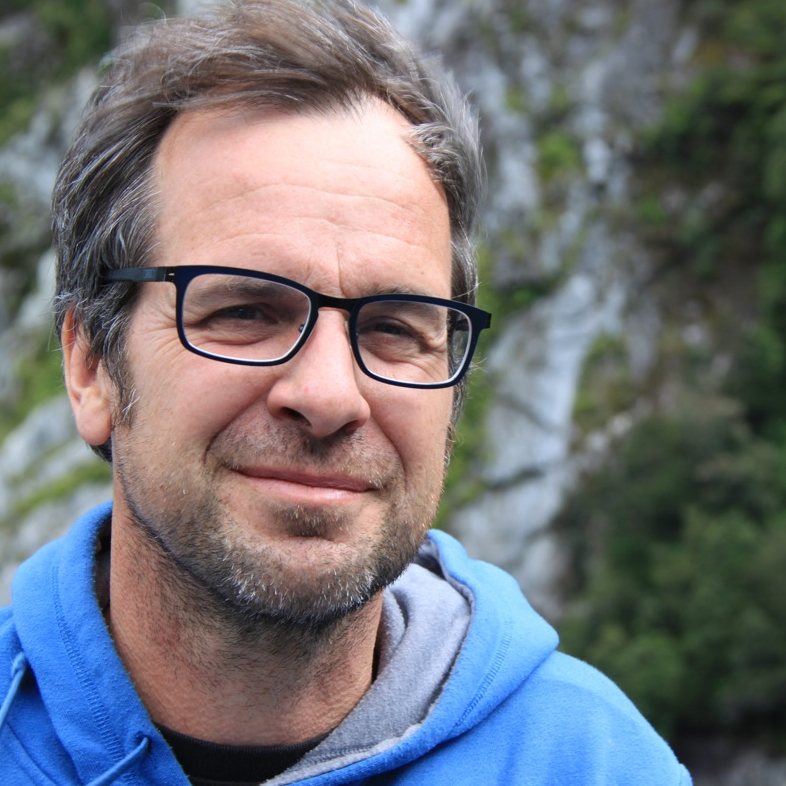 He studied at the Bavarian Academy of Advertising and also took courses in business administration. In the 1990s he founded the internet company FREIRAUM Multimedia, leading it through the stormy new economy of the millennium. He has also worked as head of marketing and sales in international companies. Hubert lives in Sydney, Australia, with his wife, their three children and their dogs Pepsi and Cola. The Shadowsurfers is translated from Hubert Wiest's German Original by Moritz Pischel. A wonderful book... for readers of all ages. I absolutely devoured the story of Luan, Sansibar and their adventures. I think a sequel would be very interesting: Where do the main characters go, in what ways will Mallinport change and what will happen to the Shadowcity and the Dark Wall? The story keeps giving you enough information to stay hooked, but never enough to know what is going to happen next. An exciting story for readers of all ages. Two in one. A story told in two parts, Sansibar's and Luan's, which are of course intertwined, though, especially in the beginning, not in a clear way. Two people who both resist a totalitarian system in their way, both leaving it in their own time. When Luan is caught stealing, or rather borrowing money, he is forced to leave the orphanage he until then had called home. Sansibar is distrusts Doctor Thornham, the instructor sent to her school to prepare the students for their Crystal Tests to make them all fully fledged members of society.Their thrilling tales appeal to anyone with a sense of fairness and an interest in the possibilities provided by modern communication technology.